IGLYO – The International Lesbian, Gay, Bisexual, Transgender, Queer and Intersex (LGBTQI) Youth & Student Organisation is the largest LGBTQI youth and student network in the world, with over 95 members in 40+ countries. Through cross-cultural exchange and peer learning, IGLYO also creates a powerful collective of youth activists across Europe and beyond, who can share strategies and visions, and foster values of international solidarity. 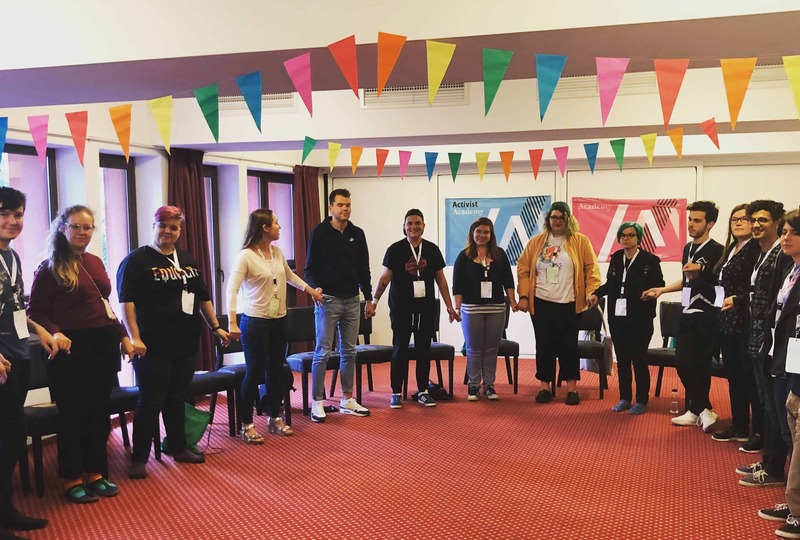 Finally, IGLYO ensures the voices and experiences of LGBTQI young people are present and heard by decision-makers at European and international levels. IGLYO achieves these outcomes through international trainings and events, targeted capacity building programmes, intercultural exchanges and peer learning, online tools and resources, and digital story-telling and campaigning. To ensure safe and inclusive educational environments for all LGBTQI young people by working with our members, governments, experts, teachers, parents, and learners.